AeroGlow Limited is the leading supplier of high reliability escape lighting systems for military applications. They had developed a new emergency escape lighting system for retro fitting to military personnel carriers. They approached us because they needed a sensor that would active the lighting system if the vehicle rolled over, or if it was caught in a blast. We worked with the client through the design stage to define the sensor’s working parameters. We provided instrumentation to measure accelerations during live blast trials, and also to monitor the vehicles dynamics during heavy handling scenarios to mitigate the possibility of false alarms in the production model. We helped with the interpretation of this data and ultimately produced a sensor to meet AeroGlow’s final specification. The final sensor was a custom solution comprising a three axis accelerometer and 3 axis tilt sensor. The tilt sensor used a customized filter algorithm to ensure the dynamics of the vehicle in use did not cause false alarms. The sensor was designed with low power in mind, as it needed to maintain a long operating life from the battery. We were able to achieve active monitoring of tilt and acceleration with a supply current of less than 0.5mA and a monitored sleep current of less than 0.05mA. With this sensor AeroGlow was able to offer their lighting system with the integrated features of roll and blast detection which were of key concern to their customers. 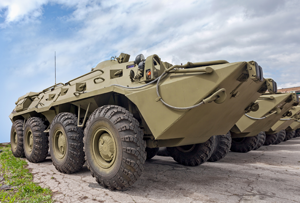 This gave AeroGlow a key advantage and has helped them to become the leading supplier of emergency lighting systems for military personnel carriers. 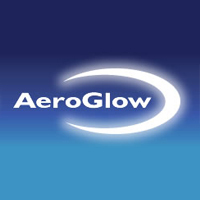 Level Developments has become a trusted supplier to AeroGlow over several years. The company is diligent in managing its customer’s expectations and wherever possible, endeavors to ensure realistic and achievable deliverables. This level of professionalism and lessons learned insight is often lacking in suppliers. However, Level Developments cares about the robustness and quality of the products it manufacturers, and produces components to a high and trusted standard. The company also has a strong design/technical capability which adds great value to working with them. Specifications and requirements are considered in depth and challenged with consistence and professionalism to ensure a robust deliverable that meets the customer requirements.